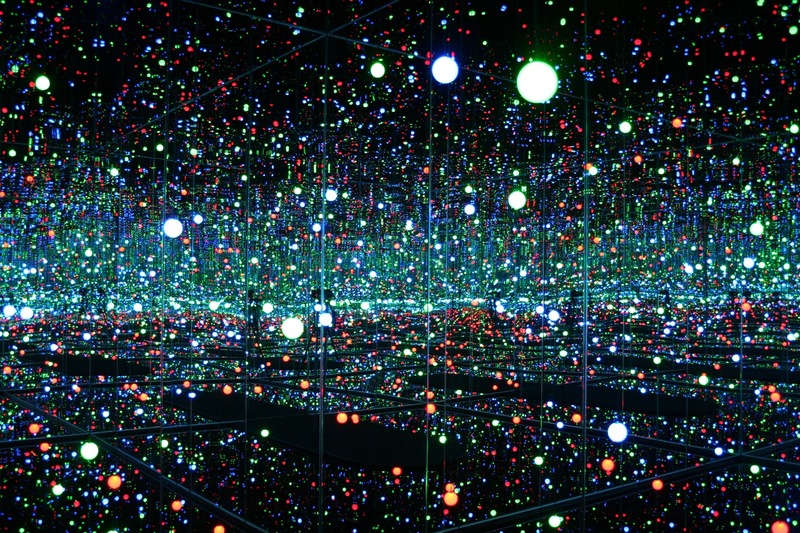 Yayoi Kusama (草間 彌生 or 弥生 Kusama Yayoi, born March 22, 1929) is a Japanese artist and writer. 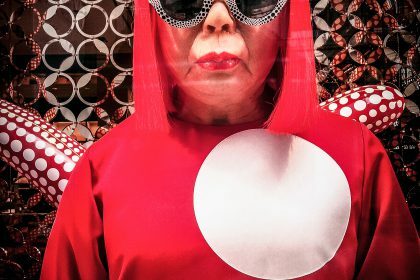 Throughout her career she has worked in a wide variety of media, including painting, collage, sculpture, performance art, and environmental installations, most of which exhibit her thematic interest in psychedelic colors, repetition and pattern. 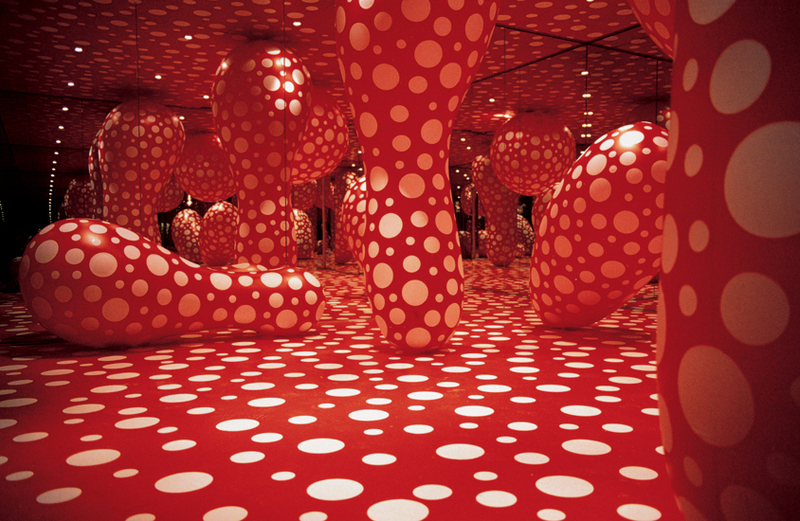 A precursor of the pop art, minimalist and feminist art movements, Kusama influenced contemporaries such as Andy Warhol and Claes Oldenburg. 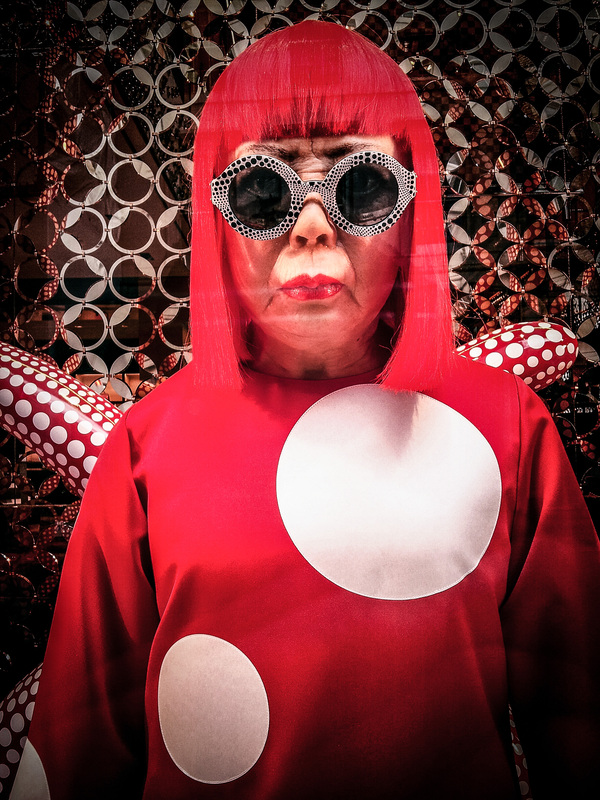 Although largely forgotten after departing the New York art scene in the early 1970s, Kusama is now acknowledged as one of the most important living artists to come out of Japan, and an important voice of the avant-garde.